In July 1998 Bill Meisheid (Sageline Publishing) interviewed Peter Plamondon [MSFT]. This interview definitely has a place in MS Help memorabilia. It reveals a rare glimpse of the complexities involved in bringing HTML Help to market. Recent comment (Nov, 2008) by Peter: "I sure remember it, Bill conducted a no-holds-barred interview! Probably one of the toughest I faced at any time while at Microsoft." Ralph Walden, the development lead for HTML Help has retired. This causes a lot of questions about possible changes to HTML Help and to a degree, a sense of insecurity about the future direction of the technology. What will be the biggest change from the perspective help community? I think the biggest change for Help Authoring community is really the change to their interactive environment. For years there was a visible Microsoft representative, Ralph Walden, on newsgroups, forums and at conferences. His presence built up a comfort level for people, and an expectation of having access to the lead developer of the technology, which in many ways was unique. If you look at other technology areas within Microsoft, you don't see that kind of interaction of the lead developer with user community. With Ralph's retirement, not only is there a natural concern over the future progress of HTML Help but there is a reaction to the loss of that intimate communication channel into the development process, into Microsoft, and back to the community to acknowledge their concerns. It may not be widely known that Ralph's evolvement was at his own initiative and not, as you pointed out, normally done by Microsoft development leads or program architects? That's true. If you look at other products, such as Visual Basic, the development team depends more on a carefully selected group of people to create a limited beta environment. This group is chosen based on use of technology and products, particularly pre-release products, in order to get a broad but comprehensive set of focused feedback. Working with a small but highly effective group lowers the impact on the development team. HTML Help was somewhat unique in that it had a large public beta very early on, with the development lead generally accessible to the entire user community. That was an extremely demanding situation that Ralph was uniquely able to manage. What was unique about HTML Help that caused it to go in such a public direction? Since HTML Help started out as a port of WinHelp to HTML and the Internet, it was natural to simply continue operating very publicly as we had with WinHelp. The concerns and requirements of WinHelp were already well understood by Microsoft and the help community, making the initial demands pretty straightforward; however, the focus soon changed. New functionality was added. Information types and embedded help capabilities were conceptually different than for WinHelp. HTML Help quickly became strategically significant in ways that WinHelp never was. It became part of the browser competition, as well as requiring input and interaction with standards bodies such as the W3C. So with the stakes so large and the issues somewhat public already with the W3C involved, Ralph began to solicit feedback from the Help community. What kinds of useful feedback did you get? Several things came through loud and clear. One was the priority of compiled HTML. Authors and users did not want to deal with the Web model of thousands of individual files for distribution and maintenance. They liked the compiled WinHelp authoring and distribution model. But didn't this create a problem relating to standards and the W3C, since compiled HTML used in Windows will be a pervasive technology? You bet. There is a very interesting dynamic about the evolution of anything relating to HTML and Microsoft's commitment to the process. First, we design and implement something internally that we believe meets some needs we have identified. We make sure we’re on target by having some "early adopters" use it, and then we submit to W3C a specification that reflects that functional technology. This is different than designing a specification, trying to get that accepted, and then building something that reflects the accepted specification. Instead, you want to get a technology working that meets specific needs and then submit that technology for acceptance. Exactly. We propose to W3C any HTML-related technology we have produced for possible inclusion in the evolving standards. Our approach is to prove the value of a technology before submitting it, rather than submitting something that may not prove to be valuable. This saves investing in a protracted standards discussion over what may prove to be a dead end. Is it your hope that this will speed up the process of technology advancement and incorporation into the HTML standards process. Correct. While it does indeed speed up the process, it also introduces a risk factor in the sense that the W3C may decline to accept the standard or it may be altered in the process. Let's take an example that help authors can relate to: compiled HTML. How has compiled HTML worked its way through the standards process thus far? That's a very interesting situation since it is not yet clear that the compiled HTML format is something the W3C wants to be involved in. You could make a case that compiled HTML is a platform specific service. Couldn't you argue that if HTML is truly universal it can't be a platform specific service? Should that file structure be capable of being recognized by any OS, not just a Windows-based environment? Correct, and that’s why we’ve worked hard to ensure HTML Help content can be viewed on any platform. The way we implemented compile HTML, we tried to segment the creation process so that the compiling step was separate from creating the HTML Help content itself. This did not tie the content to only the compiled model as in WinHelp. If you look at the history of hypertext, you see a progression over the years from file-based hypertext to compiled hypertext. Early DOS and Unix-based systems used file-based information systems but soon the demand for compiled hypertext was met by systems like Folio, HyperCard, and WinHelp. The web is moving in the same direction. Won't this issue have to be resolved by the W3C? There are couple of different paths the W3C could take. One path is to specify a binary file format that is portable across multiple platforms, as they’ve done with PNG, the Platform Neutral Graphics format, but that is not the typical domain the W3C normally operates in. They usually deal with source-level specifications rather than binary specifications. Another path would be to specify the URL syntax for compressed HTML files. Wouldn't that [a new URL syntax] solve the problem since it would allow anyone to get at the information with a plug-in for the specific environment, but the path for access to that information would be open and available? You're right. That way the compression algorithms and binary formats being used are irrelevant, since the information is delivered in uncompressed HTML and the server is responsible for dealing with the translation issues. This allow the best technology available to be used behind the server wall, but the user gets what they need in a standardized HTML format. Isn't that consistent with what we already see with database driven sites that are using a proprietary storage format to deliver HTML pages on the fly? Yes. The server takes over the responsibility for a consistent addressing mechanism and a consistent data presentation mechanism. We don't have that for compiled HTML yet. Is that going to be a problem for the future? That process is still under discussion. What I do know is that Internet Explorer on Unix and the Macintosh, as well as Windows, will support the same URL syntax and protocol to access compiled HTML. Where does leave other vendors and environments such as Sun and other Unix vendors who may want to access a compiled HTML file from within their programs or environments? For the platforms we’ve ported Internet Explorer technologies to, which includes Solaris, the technology is in place and documented for anyone to use. The underlying "structured storage" technology used for compiled HTML was given to Active Group, one of several organizations under Open Group, along with other COM technology. I believe the information necessary for writing a structured storage implementation on another platform, including reference source code, is available. So is the information needed to implement a custom protocol for accessing that "structured storage" data. A different question is whether the information necessary to implement the same "pluggable protocol" infrastructure that’s part of the Internet Explorer technologies, on a different platform, is available. That’s hard to say. It certainly requires a very flexible design for the platform’s underlying networking architecture, and that’s a pretty broad question. Ok. Let's look at another issue surrounding compiled HTML: network access. WinHelp, when accessed on a server, only supplied the single topic requested to the WinHelp viewer on the client. Doesn't compiled HTML Help send the entire CHM file across the network for a single page access? In the current implementation the entire CHM file is downloaded into the client's browser cache. As individual topics are accessed they are pulled out locally. The ability to use HTTP to access a single page from a server-based CHM file is planned for a future release. This is a very important and high priority feature I might add. So, this is not available in the version of HTML Help released with Windows 98? No. It requires substantial work on the server to access an individual topic within a CHM and deliver it over HTTP. We’re talking to the web server team about implementing that, but don’t have a firm schedule to announce yet. Is this scheduled for the 2.0 release, toward the end of this year? We've stepped back from using release numbers as a way of expressing time, so I can't give you a forecast on the time frame or what to call the next release at this point. As we approach the release of Windows 98, the original target for the new help paradigm, do you see the attempt to retrofit HTML on previous OS versions as a mistake? I think the original notion was of HTML Help as an HTML version of WinHelp with just one file and a ubiquitous viewer. Looking back, I think we all see now that the context for HTML Help was vastly more complex than the context for WinHelp. You have demands for multiple viewers from multiple vendors and a stunning array of related technologies that introduce complex dependencies. For example, what if the file format changes to introduce better compression, either of the text or the graphics? How do you include the various plug ins available into the compiled system? Are they always external to the compiled file? Yes, the complexity gets scary and the distribution problems grow exponentially. Correct. How do I distribute a Help system into a user community when I don't know what viewer they have installed? This is one reason why help has always been seen as an operating system function, to make sure the functionality for Help is always available to the user. So, was it mistake to release HTML Help separate from the new operating system? This scenario is similar to having released the WinHelp 3.1 viewer before Windows 3.1 was shipped. The original idea was to have HTML Help as part of Windows 98 so that the first time the technology would be shipped would be concurrent with the release of Windows 98. We found that we had version of HTML Help that was usable long before the operating system would ship, so we released it on its own. In looking at the various challenges that have come up from the decision to release HTML Help, from the earliest previews through version 1.1, you could make an interesting case that it might have been easier on all of us, both Microsoft and the help authoring community, to have held off releasing the technology until it was in a more complete form. Why didn't you wait until the release of Windows 98? In the beginning we didn't fully understand the expanding scope of HTML Help beyond the framework of WinHelp. It quickly called into play many more technology areas and dependencies than initially expected, and as a result it moved beyond areas supportable by a basic viewer. Life became much more complex than we anticipated. So, you had a problem. A technology originally planned as a Windows Help system has mutated into an end all, be all, cross-platform demand. With WinHelp there were few cross platform issues, and never a real expectation that Microsoft would supply a cross platform viewer. Even when someone created a WinHelp viewer for another platform, such as for Unix or the Mac [Bristol's HyperHelp and Altura's QuickHelp], they didn't try to view the existing .HLP file. Instead they created their own compiler that used the RTF source files and their own viewer that understood their compiled format. This has not been true with the evolving HTML Help. Since it was based on HTML, it was automatically expected to be cross platform, with the expectation Microsoft would supply the complete cross platform solution. That wasn't Microsoft's expectation for HTML Help in the beginning. Many of the complexities and issues we have seen develop over the life of HTML Help were not obvious to us in the beginning and revealed themselves in a stepwise fashion. We would implement a technology and it would complicate the process in unforeseen ways. So HTML Help has been similar to a Pandora's box. In a way. We would open a doorway and then expose a hallway with many additional doors, which would go on and on. So we’ve gotten to a point on Windows where we can deliver a robust set of features, with nearly all of the features of WinHelp, plus the additions that HTML allows. We then have to decide whether to deliver a subset of functions that runs on any browser and on any platform, or deliver the full functionality that only runs on platforms where we’ve implemented the Internet Explorer technologies. Why not do what the user community expected and deliver an installable viewer that doesn't register itself as a browser? Sure, it may be 95% of IE, but it is invisible to user and leaves their Netscape installation alone. We have always had the intention of delivering exactly that. However, there are a number of remarkably complex licensing issues involved. I have personally spent a great deal of time trying to navigate through those issues to get that product to the help community. The goal is to not impose the IE browser interface on the HTML Help interface. Do you mean issues like having an independent favorites list linked only to your HTML Help? That is one of many such issues. We have been committed to making this viewer available for those cases where your customer doesn't have a viewer capable of displaying your help system. The install of this system should not interfere with your user's preferred browser settings, whether that’s Netscape Navigator or Internet Explorer. You originally proposed a product called HHRUN to meet that need, to be available through the HTML Help distribution site. HHRUN now appears to have been consolidated into the general distribution process through the IEAK site. We’ve encouraged help authoring tool vendors to wrap this IE minimum install in a setup package that includes the latest HTML Help components, and would be redistributable with your help project. But, in the File Types association, it registers itself to display the CHM extension. Precisely. We essentially are installing the guts of the browser, the "Internet Explorer technologies" to enable viewing CHM files, without actually doing a "browser" install. How is this "silent install" license going to different from the licenses available today from the Internet Explorer Administration Kit (IEAK) web site? The IEAK licenses are designed for people who want to distribute the browser with their own customization. For example, they can build a customized version that can include components they’ve developed themselves, pre-loaded Favorites, etc. These customizations are seen as valuable in themselves, in addition to the value of the browser, and there are various marketing and reporting requirements included in those licenses. The "component license" is different. There are no reporting or marketing requirements, despite what people may have heard or seen in earlier licenses on the IEAK web site. This is analogous to a software developer redistributing the grid control that comes with VB. The long wait to release the minimum install package was not caused by the current situation with the DOJ but by internal licensing issues inside Microsoft? That is correct. It has absolutely nothing to do with the DOJ, except that the DOJ is keeping our lawyers pretty busy. It’s been hard to keep them focused on this matter. Do you have any idea when this "component license" install will be available? There is an ongoing and immediate need in the help community for its release. It is available now. Help authors should go to Microsoft's web site at http://ieak.microsoft.com/isvlicense.asp to review a new license agreement that enables them to redistribute the Microsoft Internet Explorer Operating System Components with their help system or application. Remember, there is no license fee or royalty associated with this license, nor are there reporting or marketing requirements as required by the IEAK licenses. After accepting the license agreement, they'll be taken to a web page with detailed download and setup instructions, which are referenced by the license agreement and must be followed, including the "passive" or "silent" install of these components. Note that all files downloaded according to the download instructions must be redistributed with your application, no files can be removed. Let's go back to the "complexity-and-Pandora's-box" issues. Where they evident before the 1.0 release? Yes they were. As all the elements came together, it became apparent that this was considerably more complex and interdependent than anyone had considered. Items such as Alink and Klink introduce a dependency on compiled HTML, which meant that Full Text Search would also be dependent on compiled HTML. Each step created an ever expanding web of complex dependencies. Some of this complexity obviously created management issues? Yes it did. We started off with Ralph and a small group of people who had worked on a variety of help systems. A little over a year ago Kate Harper joined the HTML Help team as the first program manager. Now we have at least three program managers overseeing different aspects of HTML Help, and many groups around the company contributing technology. In addition, Help went from being a small backwater at Microsoft, to being a technology that Bill Gates discussed during his recent testimony before the Senate Judiciary committee. There was a tremendous increase in pressure and demands. Certainly that brought a lot of change to the group work environment. So you went from Ralph, to Ralph and Kate, to multi-project manager administered project. Yes. We now have a complex product spanning multiple technologies, multiple product groups, administered by multiple managers. As HTML Help moved into this broader and more complex process and the new development organization took ownership, the feedback both from the user community and our own internal user education people was that HTML Help was not as stable as they required. Since this technology is both an operating system core technology, and a technology that all Microsoft product lines depend on for their documentation, this had to be corrected. The HTML Help team has largely stopped working on new features, and is focused on fixes. The team talked to a number of internal customers such as Windows 98, Microsoft Office, Windows NT, and others. We’re confident that by meeting the needs of those disparate internal customers, we’ll be meeting the needs of the rest of the Help community. As a result, we have solid plans for fixing specific bugs in specific time frames, doing some feature completion work, and making a series of technology releases during 1998 and beyond. You’ll be able to get these releases from the HTML Help web site. Do you feel you have gotten a good handle on the situation so that you can now move forward in confidence? Windows 98 has a version of HTML Help that is different from version 1.1. Are you going to release a version of HTML Help that is equivalent to the Windows 98 release? Yes, HTML Help Version 1.1a is available on the HTML Help web site. We meant for it to be posted June 25th, the same day Windows 98 was available, but the web site folks have been extremely busy so there was a few days’ delay. How are you going to handle communication in this post-Ralph era? Although we don't have a replacement for Ralph and his direct contact with the community, a number of the program managers are monitoring the newsgroup and CompuServe forum for hot issues or concerns. 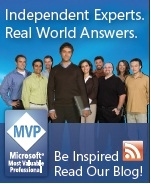 So the MVPs are expected to take on a pivotal role in support and communication for HTML Help. Absolutely. We’ve started a series of "MVP Summits" to talk about our plans, get feedback, and address issues, to make sure there’s good communication between the HTML Help team and the MVPs. I, and I am sure we, the Help community would like to thank you, Peter, for making yourself available for this interview.